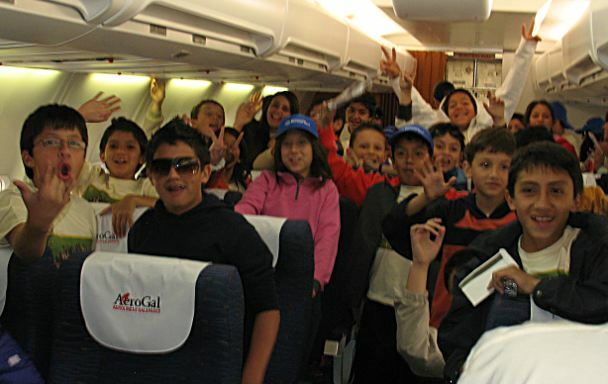 On our flight from Quito to the Galápagos, the back third of the plane was filled with these kids on a school excursion. They gave a loud cheer on take off, and maintained a steady roar during the flight. When the wheels touched down, they went crazy! Their first flight was a lot of fun. 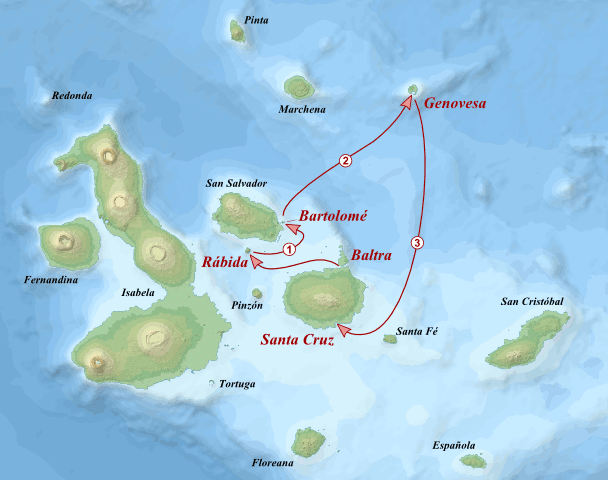 Once on the island of Baltra, we boarded our boat, the Tip Top III, for a 3 day cruise. In this picture, ours is the boat on the left. It's really a yacht, with spacious cabins and plenty of room. The sea lions approve! Shorlty after boarding, we cruised over to Rábida. That's where the red sand beach is, complete with sea lions. We would spend each day on a new island, then travel by night to the next. 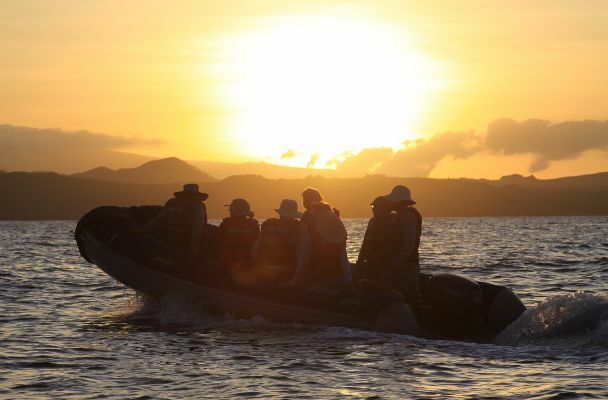 Each day, we went on excursions in the Panga boats to explore the islands and meet the wildlife. 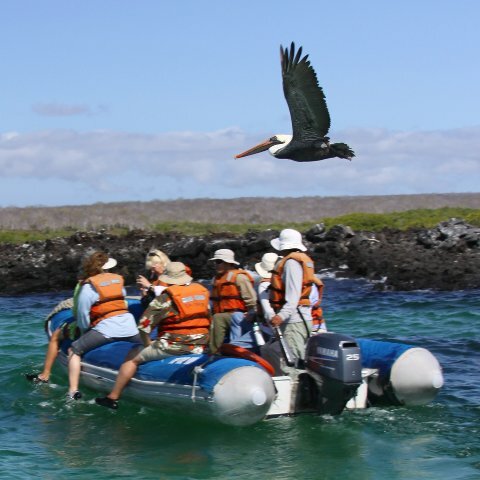 'Endemic' means a species that only appears in the Galápagos. 'Native' species occur here naturally, but also elsewhere. 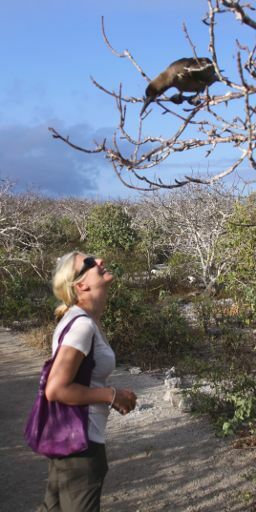 And 'introduced' species are those that humans have brought to the islands. We were not trying to prove Darwin's theory of evolution, so I don't have finch pictures. 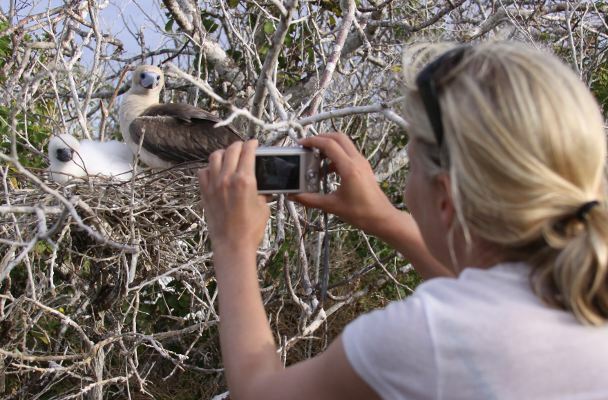 But other birds were abundant: pelicans, boobies, frigate birds with bright red sacs. Click here for my pics. Galápagos has the largest tortoises in the world and the only iguanas that swim. The islands have very little fresh water, so reptiles are much more prevalant than mammals. Here they are. We went snorkeling on several occasions, and saw beautiful fish, coral and urchins. I didn't have an underwater camera, but sea lions, penguins and other critters were visible above water. Click here. El Trapiche farm is home to Antonio and his family, where they grow coffee and sugar cane. We spent an afternoon there, learning how it was done in the old days. Click here. Our guide, Catcho, warned us on arrival that if you don't love wildlife, you're in the wrong place. The islands have animals in abundance, and the variations from island to island inspired Darwin, but to me, the remarkable part was that the animals had no fear of humans. 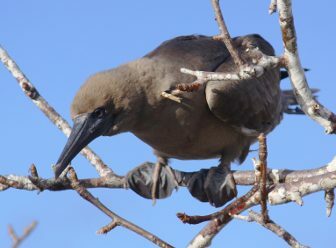 This juvenile booby demonstrated as each of us walked under him on the trail. Again and again, the birds and animals ignored us. Just as Christina is doing below, I was able to push my lens right into a nest full of chicks. 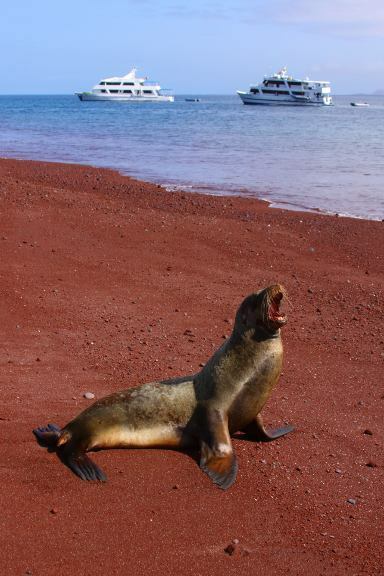 They say it's because there are no predators in Galapagos. One evening we climbed to the summit of the volcano on Bartolomé Island. This is the vista from the top. That's a cinder cone on the left, pinnacle rock and our boat on the right. (Click on the image to zoom & pan) The sea life page has more on pinnacle rock. Catcho told us that the booby got its name because they're like clowns. 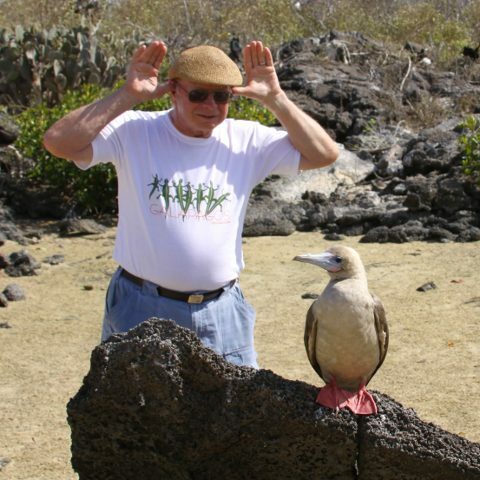 Here's my Dad trying to out-clown this red-footed booby.